Famous for its experiments with high-tech ceramics the company Rado has released a new ultra-thin watch True Thinline, who received the "status" of the finest watch in hi-tech ceramics. The new masterpiece set the new standards in watchmaking. The weight of watch is only 38 grams with the case thickness of 4.9 mm. In turn, the thickness of the mechanism is only 1 mm. The model comes in two colors - black and white. The watch design is characteristic for Rado - strict and classical, elegant without frills. In Lengai, in 1917 the company «Schlup & Co. » was created. The company's goal was to produce watch movements, which were exported to the United States. In 1957, under the brand name Rado the first collection was released. In 1962, the collection of Rado DiaStar Original made the revolution in the world of watches. For the first time the watches were resistant to scratches. In 1983, the SMH Group Holding has acquired the company, and in 1998 the SMH Group changed its name to Swatch Group. In 2009, the prize "Red Got Award" in the field of design was presented to the collection of Rado True. The company has never imitated other watch companies and has always differed from them. When all the companies used for the production such materials as gold, brass or steel, Rado has started using the new technology: high-tech ceramics, lanthanum, hard alloys, sapphire crystal and diamonds. In 1995, the first watches were issued from the high-tech diamond. In connection with this company Rado was awarded the prize for innovation. Rado is one of the best companies in the world of watches. 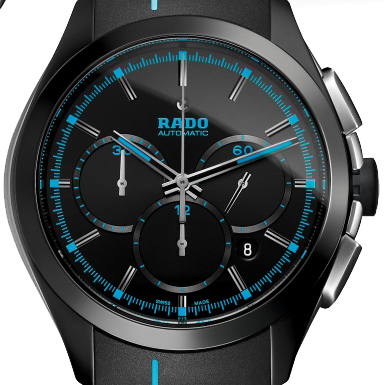 Rado provides high quality and differs from other firms by its uniqueness.